Yo Battul, you could do something like this for the infantry, Like the way Close Combat does it? As much as I love this new map, I'll have ro agree with Fahrenheit that you shouldn't overdetail the buildings' walls so sprites are easier to control without layers. maybe you could tone down those textures and noise a little bit? Is it WW1? Because I like it, but it could probably use more variety. Perhabs you could extend it and/or add a little hill somewhere? 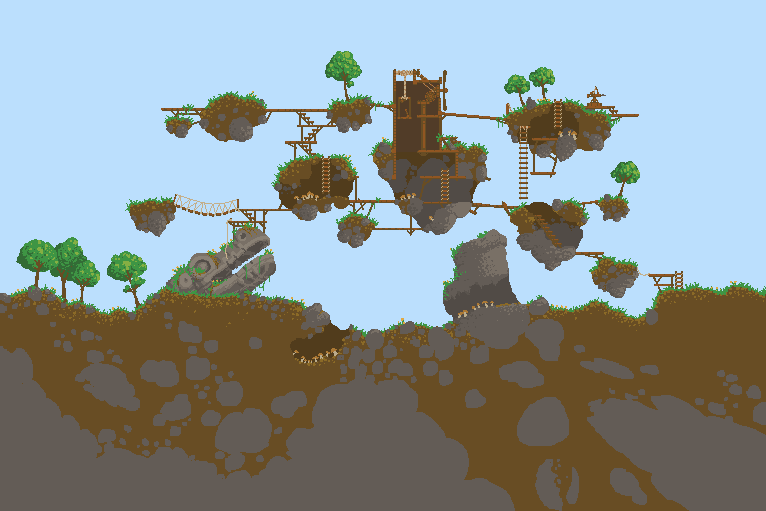 Maybe even caves? Yes, it's inspired by WWI. 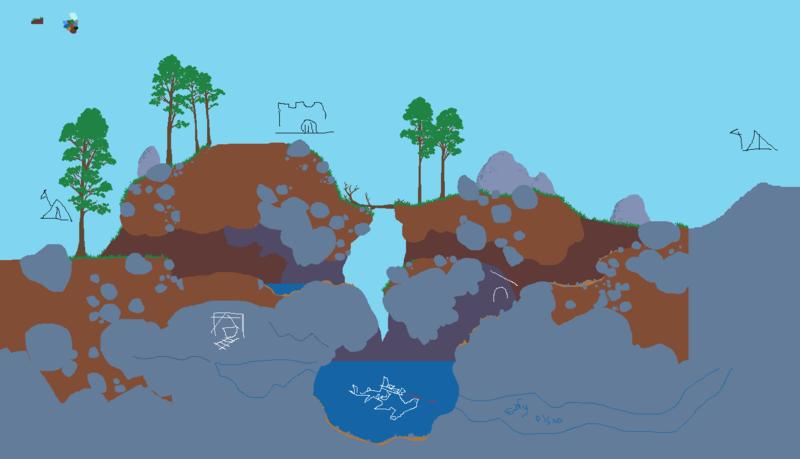 The map is obviously WIP as all other in this thread, so if community says it's good, I'll expand it while keeping main theme. I'm trying to avoid too much details, though. 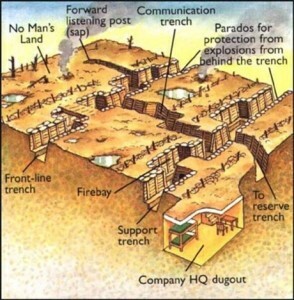 I've found trench warfare maps are really difficult from the whole side on thing, I wish I could pull it off that would be very fun to play on. 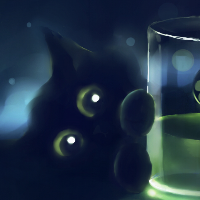 I was bored so I played a around with an idea. Cool! Mind if I'll use your part in further map development? And I'd like to see what you come up with! Also, before they would storm the enemy trench, they'd fire artillery at their lines. Maybe add somewhere for that to be? Looking forward to get this finished, except nowhere near doing that. I like it, however the background pyramids would look better (maybe?) if they would be the color of the cliffs. I've been in hell on earth. I've been playing with the idea of making buildings (maps) in 3/4 view. This is an example of how a building could look like. It's not done, but I'd like to know if it dosen't make any sense at all. Or how I could make it more clear. There's some maps that have some aspects of 3/4th view, but not to extent of what you've done. Initial thoughts are that it's gonna be a bit more work in regards to effects and stuff. As for improvement, maybe increase the contrast between the back walls and the "3/4ths" ones. Don't mind the strange contrast in the basement, I've been changing the colors out, trying to find something I like..
You know this is shaping up into something a little interesting. And it seems a fair bit more feasible than sorting out an isometric map like people once tried to do. To state what first comes into my mind when I see this; my eyes are messing with me. At times I'm having trouble seeing this as what you want me to. Sometimes is looks flat to me, as if the painter just changed colours, other times it looks like depth is reversed as if these were the outside of the front walls rather than the inside of the rear walls. Other times I see it like it's meant to be. It's more prevalent when connecting rooms have the same style, my brain can obviously see separate rooms when the walls change style, e.g. toilets against stairwell, and in places where the ceiling is low and so there's not much side wall to tell me it's a wall rather a lighter paint job to highlight a door that's facing towards us rather than 3/4 to us. Now I'm not a psychologist so I'm speculating it might be down to the inconsistent rotated perspectives? For example, I feel like the door is a lot more rotated than it should be or the windows aren't rotated enough, and vice versa. Now I recognize you've probably done this for stylistic reasons, if you say made the windows "more 3/4 view" they'd become thin slits, obscured by the walls of the cavity they're contained in. Still it might mess with my head even more if the wall patterns become more complex. I don't know how effective or presentable this will be but do you think it would be possible to extend the walls that separate rooms down so it reaches the floor, and thus slightly covers the rightmost edge of the door a bit? It might exaggerate the fact that it's a separating wall more. You also get the benefit of being able to use doors that have handles on the left instead, since it won't look like it's being supported by thin air/a small hinge in the top right corner. After all not every door opens in one direction. That aside I'm also wondering what would it be like if the side walls were wider, since as it stands you can't take cover by the side walls as most sprites are wide enough that they'll pass over the door frame and thus attacks that will go through the door will likely hit them. Which sorta removes the point of having 3/4 perspective from a match standpoint, you want more degrees of freedom to work with. The same goes for the stairs, I'm worried about some of the more wider sprites having trouble fitting on them in a pleasing manner. Of course not every stairwell has to be wide, but most buildings with two plus stairwells have a variety of stair widths to accommodate, so if I could trouble you to add another stairwell for experiments please. On other notes, what's your sprite for when a door is opened? It's nice to see the full door when it's closed but they are doors. Lastly, are those scuff marks or graffiti on the cubicle walls? Because I find it hard to believe that the cubicle doors aren't an artistic mess either. Or are you trying to tell me someone "missed a spot" ? Anyway I hope that was detailed enough to describe my optical dilemma in words, and give you some ideas (that you may or may not choose to use) on how to remedy it, it's still a pretty nice piece as it stands. Thank you, that was very useful!!! Made an experiment with double doors, does it work? Again thanks a lot for the feedback, I forgot to make the walls longer, but that should work fine I think. Any comments to the bus? 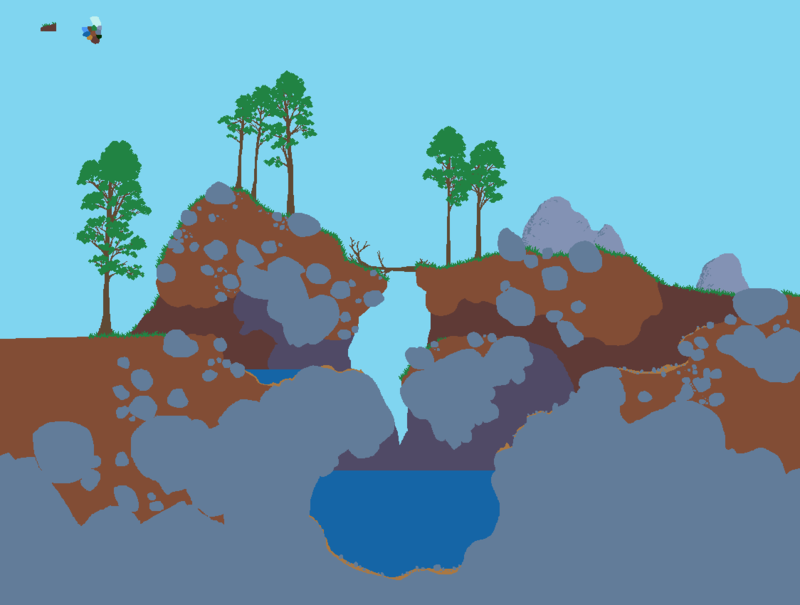 I'm a little rusty, but I want to try and make a new map. You are a map master, for first look, it looks very simple but when you add shadows and props it will be amazing! A little more polishing, I think I may add some buildings too but I'm not sure how yet. Thanks for keeping my old maps, I may try and update some of them like the one you posted. 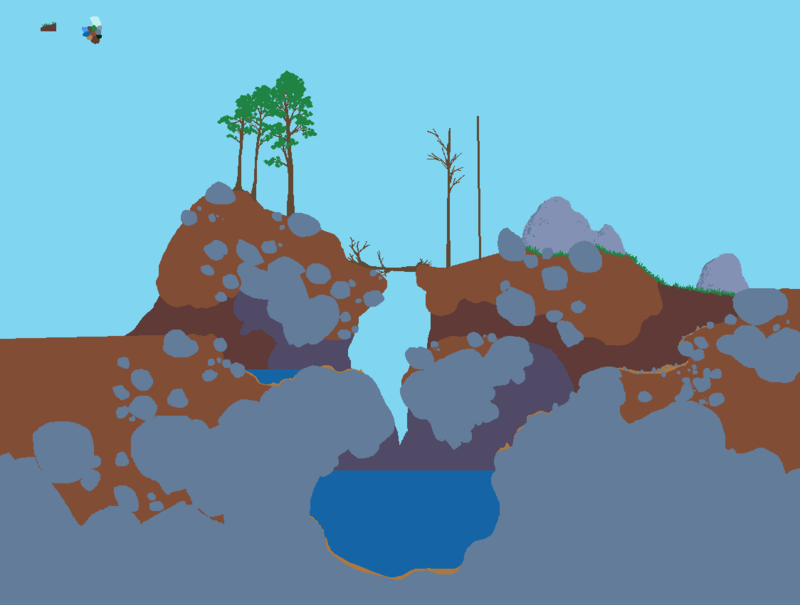 I think I may want to make it a wider map now, but is this too much? The right side doesn't have a lot going on with it at the moment, I might add some kind of defensible looking structure at the right edge and on top of the left hill. I think start with the laser shark.